So you say, why does it matter if your hair products are paraben-free? Lets first talk about what parabens are. Parabens are chemicals introduced in the 1950s that act as a preservative. It has been found in shampoos, lipsticks, lotions, deodorants, and much more. They have the ability to mimic estrogen and cause breast cancer, but they also contain mineral oil which can cause damage to the scalp and hair. Mineral oil damages the skin’s barrier and increases water loss, which suffocates the pores and skin. It’s always best to choose products that do not have these ingredients. Sulfates are effective foaming and cleaning agents found in many of our everyday items. Some of these include: shampoo, body washes, toothpastes, among other products. Sulfates do work well in pulling off dirt, oil molecules and do create a lather, but they also strip your skin of your natural oils and proteins that keep it healthy. There isn’t any evidence of sulfates causing cancer which is a huge plus. On the other hand, sulfate-free shampoos let curls stay curlier and let color-treated hair stay colored longer. So What is WOW Science? WOW Skin Science leads in the quest to create a premium, quality, and effective skin-care formula. This product is carefully formulated to meet your hair care essentials and works optimally for all hair types. The two items I tried were the Organic Apple Cider Vinegar Shampoo and their Organic Virgin Coconut Oil Conditioner. A gentle Shampoo which is completely Sulfate & Paraben Free. It helps restore shine & smoothness in your hair while clarifying and removing buildup. Made with natural apple cider vinegar. Enhanced with pure apple & pear extracts. This shampoo contains Ecocert Certified Bioactive Ingredients. Try it today. 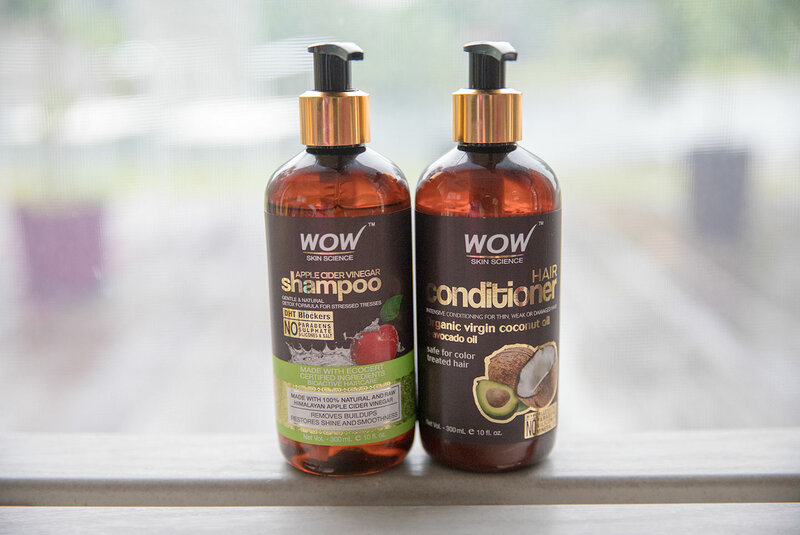 You will love this wonderful shampoo and conditioner combo. Organic virgin coconut and avocado conditioner smells amazing! Delivering intense volumizing moisture combined with organic, naturally conditioning nourishment oils and vitamins A, E, F, B5 and B7/H to repair damage. Sulphate & Paraben Free. This shampoos restores shine & smoothness in your hair while clarifying and removing buildup. Made with natural apple cider vinegar and enhanced with pure apple & pear extracts. After using WOW Skin Science I noticed my hair significantly improved. Not only did it smell amazing from the organic ingredients within the products, but it was also much more tamed. I live in a very humid climate, let’s just say the heat is not forgiving, and my hair tends to get very frizzy. I’m able to let my hair air dry and it looks amazing thanks to the fact that it’s sulphate free! I highly recommend these products! What are your Favorite Shampoo & Conditioner Products? I prefer Sister Sky Sweetgrass shampoo and conditioner. Body wash and lotion are also available.. Following extensive spine surgery my hair was falling out everywhere. I tried everything. Then I ordered the Sweetgrass shampoo and quickly noticed it was helping. I’m a Grandma and Great Grandma, but I like my hair to look and smell nice, as well as be Healthy. 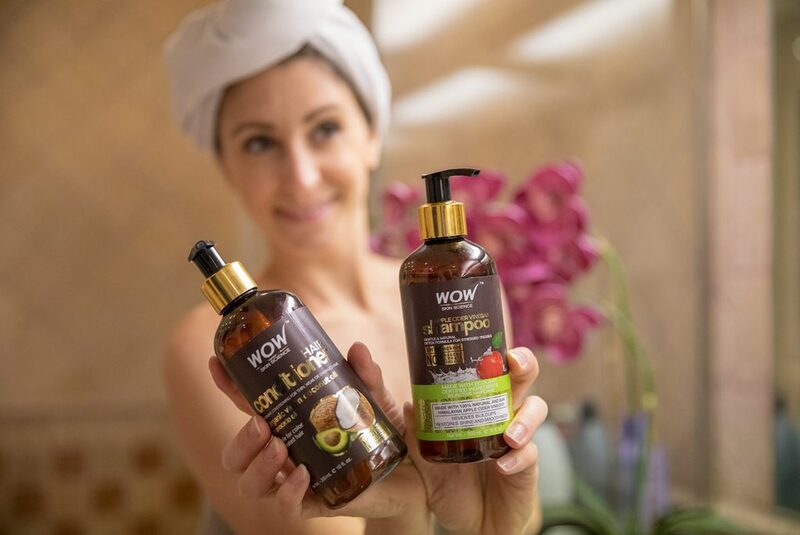 So when I saw the WOW Apple Cider Shampoo and the Conditioner that has pear and the other healthy ingredients in it, I knew that I must at least try it. I also live in a very Humid Climate and it’s really raking havoc on my hair. So I’m anxious to see how these products will work for me. Thank you so much in advance for Sharing these products with us, and the others to.